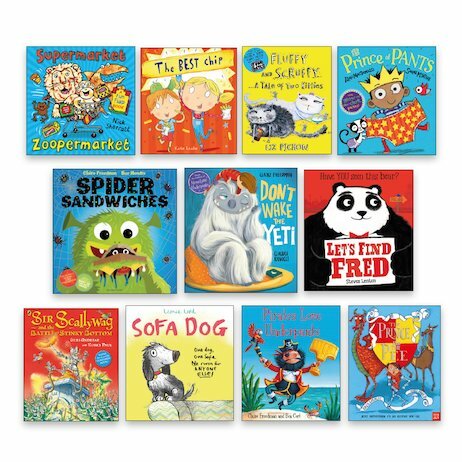 The funniest picture books in the world! How do we know? Because we’ve tested them. We’ve screeched with laughter. We’ve collapsed in fits of giggles. We’ve wibbled and wobbled and howled through page after page. All for you! Liz Pichon. Claire Freedman. Giles Andreae. Nick Sharratt. Heaps of the world’s best picture book creators, letting loose in super-funny style. There will be pants, pirates and princes. Oh, and don’t forget to look out for yetis! Warning: you WILL turn into a helpless blob of laughter. And the harder you giggle, the happier we feel!